Festival of arts "Cosmic Mystery"
The festival of arts and group exhibition of cosmist artists "Cosmic mystery" took place in Moscow Museum of Nicholas Roerich in March of 2010. During one month, there were about ten performances of ethnic music and dance groups associated with artists' explanation of their art and of its connection with the traditional culture expressed in the music or dance. 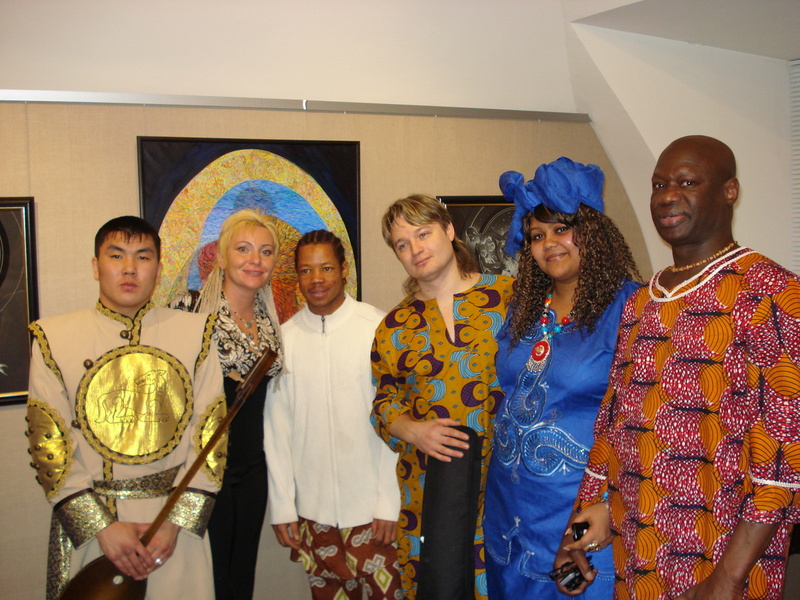 In particular, I spoke about my Indian series paintings (with studio of Indian dance "Sarasvati"), paintings of Slavic series (with "Belsvet" group), Altai series (with Altai musicians Mergen Teldenov and Cheinesh Baitushkina), African series (with "Afrikanda" band). Also theatral studio "Under sky" and Rada from "Rada and Blacthorn" band performed.